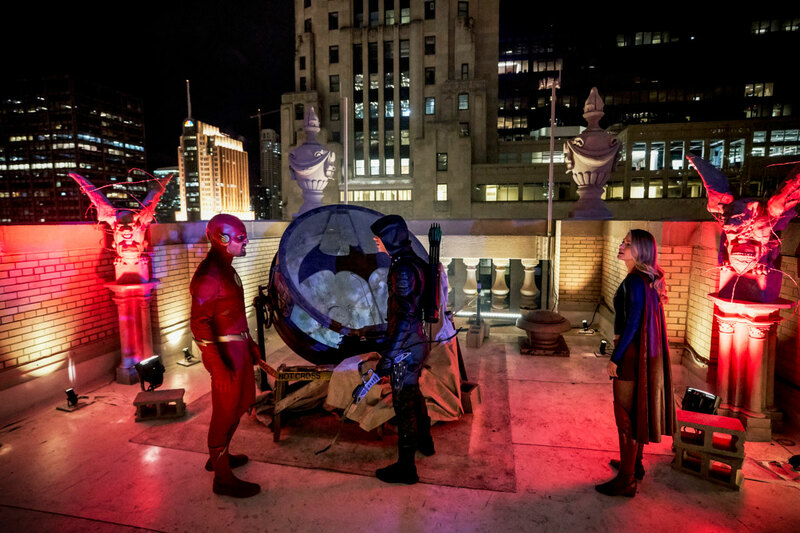 The second night of the Arrowverse Crossover Event plays like an early Christmas present for DC fans. No lie, I was totally fangirling over Elseworlds Part 2. While technically an episode of Arrow, it was the trip to Gotham that had me squeeing over what is now my favorite crossover episode of all time. If you have not seen it yet, watch it. And then watch it again. Not only do we get Green Arrow, the Flash, and Supergirl, the CW gives us Gotham City, Batwoman, Arkham Asylum, and Easter eggs galore. The episode not only sets up the new series with Ruby Rose as Batwoman, but it also prepares us for the CW version of Crisis on Infinite Earths. 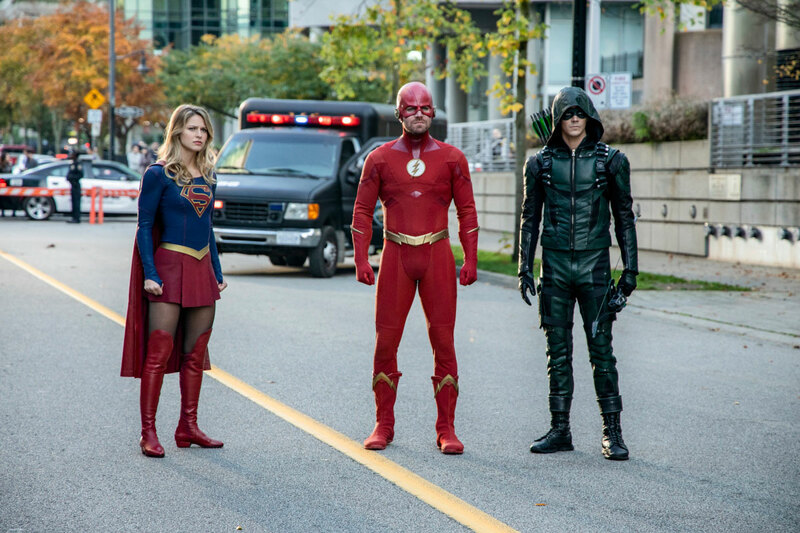 If it is executed as well as this crossover episode (direction by James Bamford, with teleplay by Marc Guggenheim and story by Caroline Dries), Crisis will…be…Epic! Elseworlds Part 1 sets us up with an alternate reality that switched the identities of Barry Allen and Oliver Queen. Part 2 delves even deeper into this reality with the help of Diggle, Curtis, and Felicity, despite her estrangement from Oliver. Also present are Cisco and Caitlin, who are following a lightning anomaly that seemed to follow Barry and Oliver from Central City to Star City. The anomaly turns out to be the Flash from Earth-90 (John Wesley Shipp from the original Flash TV series) who warns them about the reality-altering book that the team saw Monitor giving to Dr. John Deegan (guest star Jeremy Davies) in Cisco’s vibe. Oliver/Flash, Barry/Green Arrow and Kara/Supergirl travel to Gotham City to get answers to their Freaky Friday/Quantum Leap quandary. While trying to track down Dr. Deegan, our team of superheroes is aided by Bruce Wayne’s cousin, Kate Kane (guest star Ruby Rose), aka Batwoman, who recognizes Deegan as the doctor at Arkham Asylum. 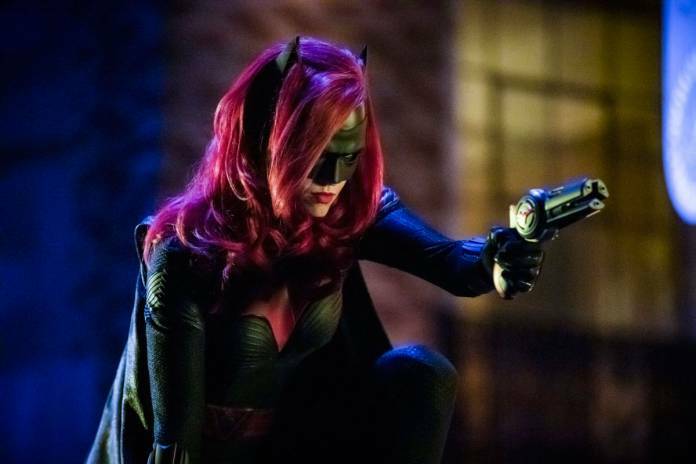 It makes sense that Batwoman is introduced in an episode of Arrow. If you think Star City and the world of Oliver Queen is dark, wait until you get to Gotham. As Oliver says, “This is why nobody talks about Gotham; the city might as well be dead.” I’m sure that should Kate Kane ever end up in Central City, the contrast would be as stark as Kansas is to Oz. There are also the touchy-feely relationship moments that feel like an integral part of CW superhero shows. In Part 1, we had the love between Barry and Iris, and for this episode we have the estrangement of Oliver and Felicity to deal with. Oliver ends up channeling his inner Barry and promises Felicity that love is not a big enough word for what he feels for her before they kiss and make up. We even have a budding friendship between Kara and Kate. They bond over the fact that they both have famous cousins to live up to and secret identities to deal with, paving the way for future interactions between the two. But it’s the action in the story and the shout outs to DC canon that had me on the edge of my seat. When the team walks through Arkham, the names on the doors are a veritable who’s who of infamous villains from Batman, including The Penguin, The Riddler, and Poison Ivy. Caitlin as Killer Frost encounters Nora Fries from Batman, The Animated Series in Arkham as well. In the skirmish to get the book from Dr. Deegan, Oliver unintentionally exposes himself and Barry to the Scarecrow’s fear toxin, and they end up hallucinating that the other is their arch enemy – the Flash fighting against Eobard Thawne (Tom Cavanagh) and Green Arrow against Malcolm Merlyn (John Barrowman). Other Easter eggs include the mention of Vesper Fairchild, known as one of Bruce Wayne’s girlfriends in the comics, but in the Arrowverse, she’s one of Oliver’s exes. We see Arrow’s Joe Wilson (son of Deathstroke) show up in difference capacities twice in the episode and even Ricardo Diaz shows up as a cop is this alternate reality. 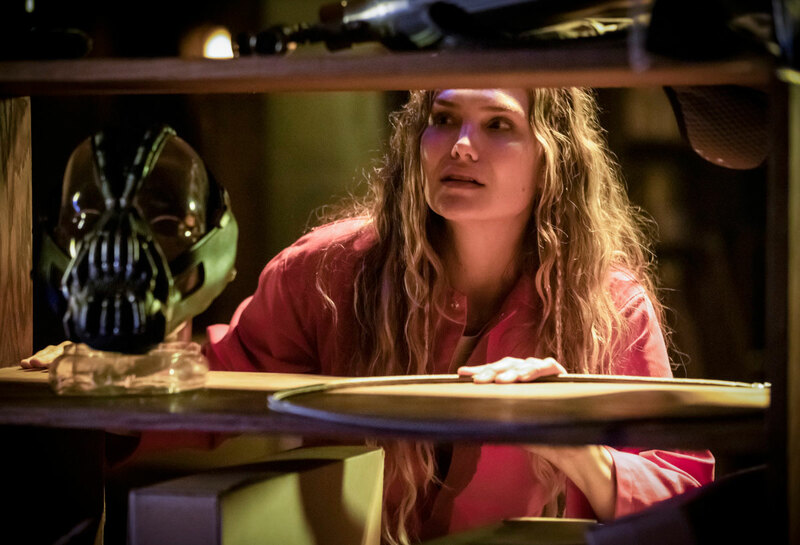 And my favorite Easter egg of the episode: When Kara first talks with Kate, she picks up a bust of Shakespeare – the same gold bust that was used to house the button to the secret Batcave in the 1960s Batman television series. The preview for Elseworlds Part 3 (watch below) shows yet another reality conjured up by Monitor, where Barry and Oliver are the Trigger Twins who are on the run from the police, only to be stopped by a black-suited Superman. 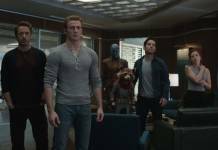 The black suit has shown up before in other mediums (Justice League), but I was reminded of evil Superman fighting against the Teen Titans in Justice League vs. Teen Titans, but that’s just me. Anyway you look at it, Superman in Black is bound to be bad news. I can’t wait!